Alcoa has expanded its portfolio of additive manufacturing solutions to include the Arcam Q20plus, Arcam’s largest, fastest 3D printer. Arcam reports that lightweight metals leader Alcoa has expanded its portfolio of additive manufacturing solutions to include the Arcam Q20plus, Arcam’s largest, fastest 3D printer, at its facility in Texas. Alcoa will make use of the printer’s larger size and high output electron beam melting technology to make 3D printed parts for aerospace. 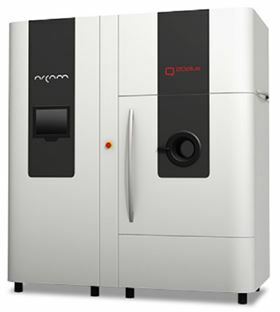 The Arcam Q20plus allows Alcoa to print parts directly from a 3D computer model by melting and fusing layers of fine metal powder with an electron beam. The 3d printer can print a range of aerospace-related components such as aerospace engine and industrial gas turbine components and structural airframe components. The Q20plus reportedly has a faster build speed and a larger build envelope for printing bigger components or stacking smaller components. ‘Arcam is proud to support Alcoa, an innovation leader in 3D printing for aerospace, with our cutting edge 3D printing technology,’ says Magnus René, CEO of Arcam.